A/B testing offers online marketers like you a host of potential benefits including a lower bounce rate, higher open rates and click-through rates in your email marketing and most importantly, more sales. When you do A/B testing, your customers and page visitors are giving you a gift; they are telling you what they like and don't like about your online marketing. They are telling you how you can achieve greater and greater results. The beauty of online marketing is that you can improve. It doesn't matter if your results are “in the tank” or your campaigns are soaring sky high. You can improve them if you conduct A/B tests consistently and if you implement new changes accordingly. If you aren't doing A/B testing on a regular basis, if you aren't harnessing its power to fine tune and improve the results in your online marketing, why not? Many in the online marketing world never test, perhaps because they fear it will be too time consuming or complicated. If you will be disciplined and smart about A/B testing, you'll gain valuable insights through which you can enjoy more and more marketing success. You can gain a major advantage over your competitors that don't test. And guess what? It's not that hard. And it doesn't have to take that much time. But what is A/B testing? And why should you care? Today we will answer these questions for you. 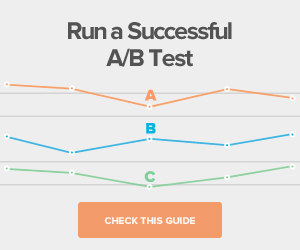 We'll give you some useful A/B testing tips. 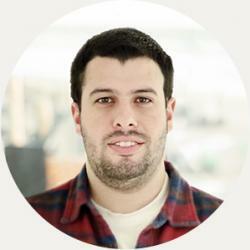 We'll show some real life A/B testing success stories. We'll be talking about A/B testing for landing pages mainly, but the concepts and ideas we discuss work for other parts of your online marketing engine including your email marketing, mobile marketing, and your website. Marketers have tested and refined campaigns for many decades, but in the second decade of the 21st century, we have many more tools that can help us test and improve our online marketing campaigns easily and inexpensively (sometimes for free) than ever before. A/B testing your landing pages can help you improve your conversion results in a big way, so by all means, test! Here are some A/B testing best practices; Use them and you will enjoy greater results from your A/B testing and subsequent optimization pursuits while reducing the number of headaches you suffer. A/B testing, sometimes called split testing, involves comparing one page, the currently used control or “A” page, against the “B” page which has been modified in some way. Let's say you change your written headline, your call to action button and switch images of your product all at the same time. Your conversion rate compared to the control or A page goes down, way down. But since you changed three landing page elements all at the same time, you don't know what led to your falling conversion rate. Was it a result of one change you made? Two changes? All three? And instead of being ahead, you are now right back where you started, and you've cost yourself quite a bit of time and frustration. Compare that unhappy situation to this one: You leave your “A” page unchanged. On your “B” page, you only change the headline. Your conversion rate stays essentially the same. You leave that page unchanged and change the call to action text on the B page. Great news! Your conversion rate increases. So you add that change to your A page which is now more optimized than before. So many in the online marketing world who do A/B testing in their enthusiasm “jump in with both feet” and try to make too many changes all at once on the B page. This is a mistake. It's a mistake that will keep you from getting anywhere near the results you want. Even though you want to only change and split test one landing page element at a time, don't limit yourself when you are choosing which elements to test. You can test almost anything. You might be pleasantly surprised at the improvements you can experience from testing not just large scale elements like copy and graphics but also “lesser” page elements like call to action button placement and colors. Keep reading for a real life landing page A/B testing success story where a seemingly minor change led to huge conversion rate improvements. Don't run your A/B test for too short a time period or for too long either. If you test for too short a time period, your results may be a statistical anomaly and may not accurately tell you the change that needs to be made to improve your results. Test too long and you won't begin implementing changes soon enough and you'll delay the improvement you are looking for. Call to action buttons – placement, color, text, etc. When you are conducting an A/B test on your landing page, your goal is to improve something, with the ultimate goal of enjoying a higher conversion rate. Be aware that not every test you run will yield the improvement you want. Some will show little or no change, and some will show a worse result. Don't fret over this, it's normal. It's even desirable, in a way. Think about it: knowing what doesn't work can be just as useful as knowing what does and can go a long way toward helping you reach your ultimate conversion goals. This article gives an example of a landing page A/B testing success story. And it drives home the point that no detail of a landing page is too small or insignificant to test. Even seemingly “minor” changes can lead to a higher conversion rate – i.e. - more sales for you! 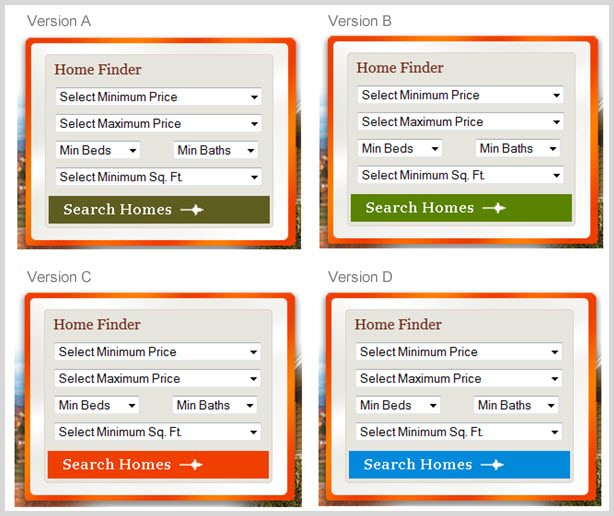 In this graphic from the article, you'll notice the different colors of the “Search Homes” call to action button. A click on the button equals a conversion. In this test, version A was the control, the “A” in the A/B test. Version “D” was the “B” in the A/B test. In version D, the button color was changed to blue; this increased conversions (clicks) by 17%! Here's another real life A/B testing success story. 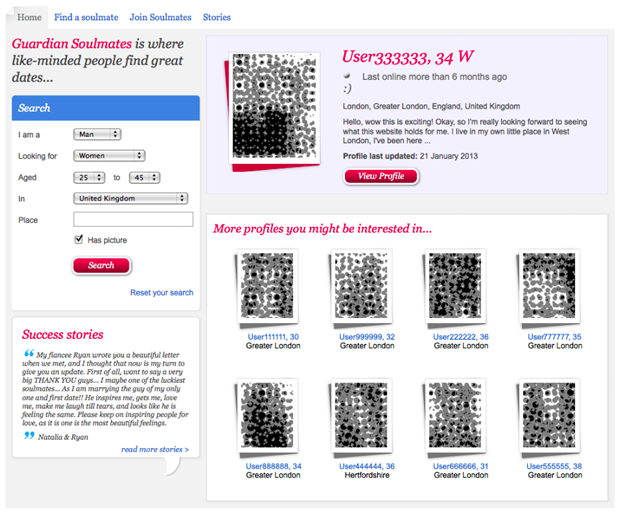 The Guardian, a news website from the UK has an online dating subscription service called Soulmates. The Soulmates landing page was experiencing a high traffic flow, but the conversion rate was much lower than desired, because the landing page was confusing to visitors who perceived incorrectly that their choice of members' profiles to browse would be limited. 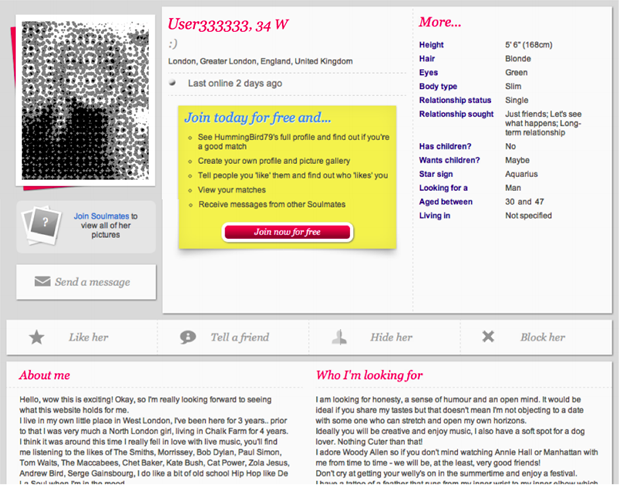 Notice that the first landing page image shows only one profile with a button that says “Join now for free”. It's understandable that this page could limit paid registrations, don't you agree? In the A/B test that was run, this page was left as the control “A” page. On the “B” page, the call to action button to “sell” direct signups was removed. This page sought to make it clear to users that they had many profiles available to view when searching. An easily accessible and simple to use search form was added. Whereas the “A” page showed only one member's headshot, giving the impression of a severely limited number of profiles to browse, the “B” page added additional headshots (greyed out in the image below). A benefit-oriented headline - “...find great dates...” was also added. Compare the first landing page which gave many visitors the distinct impression that their search options were very limited to the second page that gave them the impression there were a lot more profiles they could search and contact. The result of this A/B test? The B page showed a vast improvement – conversions improved by 46%! So what's the bottom line? A/B testing works! You can use it to launch your online marketing results into the stratosphere. You can, with A/B testing, continuously optimize your landing page's conversion rates. But consider this: if you're going to put in the time and effort to optimize your landing pages, if you are going to faithfully run A/B tests and act upon the results, why not start with a proven landing page platform that offers you many built-in advantages? Advanced A/B testing capability – you can consistently improve your conversion rates! 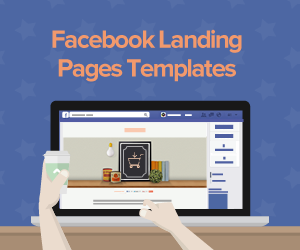 Prominent, eye-catching headline areas – helps you capture page visitors' attention! Built-in video support – 52% of shoppers say online video makes them more confident in buying decisions! PayPal integration – if you run an e-commerce store, this may make it easier for your customers with PayPal accounts to pay at checkout! Google Maps integration- if you run a local retail business, this is ideal for telling new customers how to find you! Countdown timer – are you holding a big sale with a deadline? This feature can give your potential customers a sense of urgency to get “off the fence” and buy now! 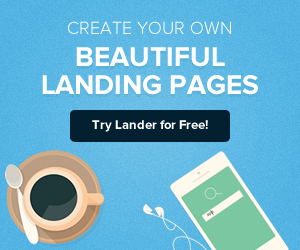 We could go on and on listing the features and benefits of the Lander landing page platform. 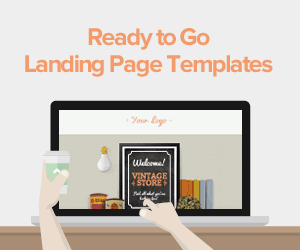 But here's a “feature” you just might like the most: you can try any of our Lander landing page templates for free! Want to find out more? Visit our website or contact us today. We'd love to visit with you and show you how Lander can help you launch your online marketing results to new heights!